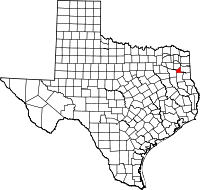 The County Clerk (http://www.co.gregg.tx.us/A2WebUI/) of Gregg County, Texas, retains original records and vital statistics with copies available from the state (http://www.dshs.state.tx.us/vs/default.shtm). Inquiries about birth, death, and marriage records must specify name and date (birth or death date) before the website provides information. Marriage information inquiries must specify the names of the bride and groom, the date of the marriage, and the marriage license number. Costs for obtaining these records are not listed on the website. State costs specify copies of birth certificates as $22.00; marriage verifications as $20.00; and death certificates as $20.00 for the first copy and $3.00 each for additional copies.